The Lunt Solar Systems B3400 Blocking Filter is housed in a 2″ straight-through extension tube with 2″ and T2 connections. Like all Lunt blocking filters, the B3400 houses additional filters. Significantly, this is required for the safety and performance of the solar package. 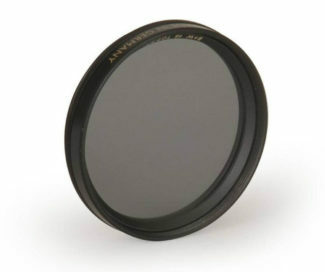 It’s important to realize that Lunt Solar blocking filters contain a unique filter system. Furthermore, we can only warranty safety or performance when one of our blocking filters is paired with a Lunt H-alpha filter or telescope. The B3400 is best for visual work on telescopes with focal lengths up to 3400 mm, and for imaging work on scopes with focal lengths of up to 1800 mm. See the latest news about the Sun at NASA. Check out our great selections of Solar Telescopes.